The student demographic of universities today has changed quite dramatically from even a decade ago. 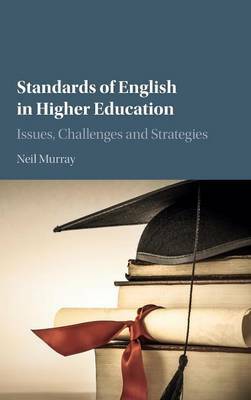 As universities seek to internationalise, widen participation and derive attendant reputational and financial benefits, along with greater opportunities for research collaborations and industry links, they also face a growing challenge associated with what Neil Murray terms 'the English language question'. In particular, as the proportion of students of non-English speaking backgrounds entering universities increases, there is growing concern over levels of language proficiency and what this can mean for educational standards, the student experience and, ultimately, institutional standing. Standards of English in Higher Education unpacks a number of key and interrelated issues - for example, the assessment of proficiency and the structure and nature of provision - that bear on the question of English language standards, and in doing so offers a frank and critical appraisal of English language in higher education today.